Dugan applied red, blue, and gold coloring to many of its white Dahlia pieces. 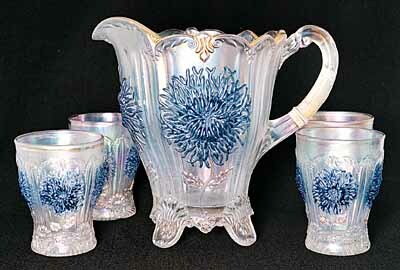 The water set shown here has blue colored flowers. It sold for $3,250 in 1999. Similarily colored pieces are listed below.